Those little guys in that picture can grow quite fast when the water warms up and by December of the next year can weigh in between 2 and 6 pounds in our Aquaponics Systems. If one needs to quarantine channel catfish for a while before putting them in with the general population. I would suggest having at least a 100 gallon tank tied in with at least a 100 gallon grow bed that can be kept tied in with the main system normally but when it is time to get new fish, isolate the fingerling tank with it’s own grow bed, get small fish and don’t over load the isolation wing. Then hopefully by the time the quarantine period is up, the main fish tank is ready to accept it’s new occupants. I have kept about 10 small channel catfish in a 100 gallon tank before but they didn’t do as well as fish the same age in a 300 gallon tank. I notice more stress issues and skin conditions in fish kept in the smaller tank even when the ratio of fish and tank and grow bed is otherwise exactly the same. Once the channel catfish get past about 6-7 inches they just don’t do as well in a small tank. This is why my personal recommendation for a minimum size Main Aquaponics System fish tank is 300 gallons. It is all about my chosen fish, the channel catfish. 300 gallons makes a nice size fish tank for maintaining water temperatures as well and multiples of three are pretty nice to work with. Where can I order Channel Catfish fingerlings? I can’t find any place. Might be costly unless you have a large pond to stock or perhaps you could get a group together and do a joint order. Seeing as I live in Central Florida, I have no first hand experience of any fish suppliers in California. I could do a search on google for you but you could probably do that for yourself. I’ve found that most fish farms don’t really have a good web presence through I do know there are catfish farms in California so you should be able to find fingerlings there. 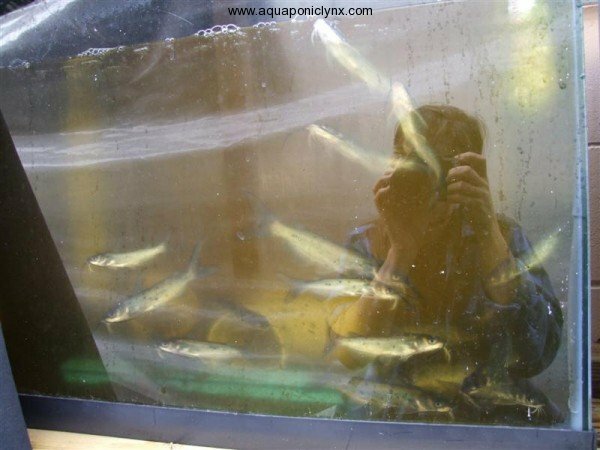 You might also go to the Aquaponic Gardening Community site and join the California group and ask there if anyone can recommend a fingerling source to you in Southern California. Please stop back after you get your fish and let us know how your experience with them goes. I am in LA. i am also interested to know a local catfish fry vendor. Please help! Please understand that I am in Central Florida. I don’t have any personal connections with any fish farms or hatcheries in California. To help you find a vendor in California I am simply going to be doing an internet search. It may be far quicker for you to do that search for yourself since you will be far more likely to recognize what cities are closer to you out there in California. Here is what I found on one quick search. I am in South Carolina. Do you have any connections here for catfish or other fingerlings (tilapia, perch, etc)in my area? I don’t personally know of any Fish farms in your area to recommend, However, you might contact The Aquaponics Garden since he is in the Carolina’s he may know of some fish sources in the area. any suggestions on where to get catfish in NY? Sorry, I don’t know of any fish farms in NY. The only Fingerling suppliers I have personal experience with are in Florida and then I do know of a few suppliers in other states but have no experience with them. I live on the planet Neptune, do you know where I can get catfish fingerlings here? Seriously, just use Google folks. TCLynx already has his hands full running that nice setup. He’s not your personal secretary. I can’t believe how civil and cordial he’s still being. Kudos to you, TC! You are a more patient man than myself. Perhaps I’m more patient because I’m a woman. I’m in Idaho and have bought tilapia and albino catfish from sugar creek fisheries in Ohio and have been very pleased with his fish. I’m trying to get more albino channel cats in this fall, but not sure I’m going to make it. He is kinda hard to get in touch with sometimes, but has great fish and is an aweseme guy to work with. Thanks for sharing your experience about Sugar Creek Fisheries in Ohio. Being difficult to get it touch with seems to be a fairly common trait among fish farms in my experience. Keep trying or wait for spring I guess, good Luck. I seem to have a random albino catfish in my last batch of fingerlings. Since most of my large fish tanks are dark blue it might be nice to have a light colored fish so I can see them down in the tank. The regular channel catfish are so hard to see against the dark tank unless the sun is angling in just right. I don’t know anything about fish sellers in Utah, however you may be able to go to your states Fish and Game or department of wildlife and see if they have any listings of hatcheries or fish farms which could be a place to start looking for fingerlings. Also, there may be a department of aquaculture connected to your department of agriculture, and they may have listings or be able to help you find fingerlings. You might also search for fish farms that do pond stocking. Once upon a time this country had lots of fish farms that specialized in providing fingerlings for stocking farm ponds with things like bass, bluegill and catfish. In colder climates, trout are also an option. Keep in mind that to raise channel catfish, I personally recommend at least 300 gallons of fish tank for them, they can get quite big. I do know people who have raised them in IBC tanks with good results but they are definitely NOT appropriate for anything smaller. I am in Atlanta Georgia. Please where in Georgia can I get channel catfish fingerlings to buy?. I would do an internet search for Georgia fish farms and see if any are reasonably close to your area. I know nothing about either business but both are indeed in Georgia and both have channel catfish. Hello and thanks for all the great information on your site and other forums. I am just getting started with some channel cats and I had a question about feeding and water hardness. First, I have a 200 gallon tank with a 100 gallon sump and ~170 gallons of media growbeds (lava rock, flood and drain). I’ve had some temperature change issues during startup so I added the 100 gallon sump and insulated everything very well. This has taken my daily fluctuations from over 15 degrees to under 10. In your experience, what temperature does feeding normally decline? I’m finding that at 65°F the cats seem to eat, but not so much at 60°F. My water hardness is 160 – 200 (GH) with half rainwater and half tap water used to start the system. KH is much lower at 50. I plan to bring GH down over time using an RO system and water changes with rainwater when needed (water some plants with fish water and top off with sand filtered rain water). PH is 7.7 and very steady over the past two months. I keep waiting for this to come down but with the high hardness maybe it won’t. I added 20 channel cats (4-6″)to 10 medium goldfish in the 200 gallon main tank. Feeding Aquamax pellets for now but plan to transition to Star Mills catfish feed when they are bigger. In your experience what is the best hardness and ph target? Do you use salt in your main system? I’m also hoping that the 200 gallon tank with 300 gallon system volume will be large enough to raise these successfully. Your comments are welcome. I’ve never worried too much about hardness and pH in my systems provided the pH doesn’t crash down too low too fast. I like to make sure the pH stays over 6.5 since my test kit only goes down to 6 so I definitely don’t want to let it get to 6 cause then it could be way lower and I couldn’t tell. My well water is really hard with plenty of Calcium carbonate so I rarely need to worry about the pH dropping it is normally over 7 if I’m using any well water for top ups. I don’t know this Star Mills catfish feed. If it is a complete feed with at least 32% protein then it may be ok but a lot of fish feeds meant for fish in ponds are not complete and they can lead to poor water quality and poor growth because they are only meant as a supplement to natural diets rather than a complete feed for recirculating aquaculture. I use the Aquamax 4000 for grow out on my catfish and it has continued to work well for me. As to system size and number of fish. I like to make sure there is at least 20 gallons of fish tank per fish and 20 gallons of filtration per fish for catfish systems but to that figuring I also prefer a fish tank of at least 300 gallons for growing out channel catfish since they do get so big so fast. You may be able to manage with what you have but you are skirting the lower limit on size for your fish tank so you may need to harvest fish small. And I would definitely recommend getting at least a couple hundred more gallons of grow bed and doubling the size of your sump if you can manage it. I do not ship fish, I am not set up to handle the packaging. I don’t grow or sell tilapia. I only sell catfish locally and at the moment I do not have any fingerlings. When I do have them they usually run between $1-2 each depending on size. I might have more available again the the fall sometime but I only sell them to people who can come to the farm to pick them up, you need to bring a large container or cooler and an aerator to keep them alive for the drive home.